DiBella Entertainment, Warriors Boxing and Foxwoods Resort Casino will celebrate the 49th birthday of "Irish" Micky Ward with boxing fans attending the Showtime Boxing Special Edition tripleheader on Saturday, October 4, airing live on Showtime at 9 p.m. ET/PT, delayed on the West Coast, from Fox Theater at Foxwoods Resort Casino, in Mashantucket, Connecticut. Promoter Lou DiBella promoted Ward (38-13, 27 KOs) during the latter part of his career, including the epic Arturo Gatti-Ward trilogy. DiBella and Ward, who fought out of Lowell, Massachusetts, developed a special relationship that continues today. "Of all the fighters that I've worked with, no one was more honest or gave more of themselves than Micky Ward," DiBella said. "It's a natural to celebrate Micky's birthday in conjunction with a fight card in New England. "Micky is forever New England's fighter. Fans will get an opportunity to see a great night of boxing and to meet a fighter who may never get into the Hall of Fame, but will always be an icon." All 51 of Ward's bouts were fought as a junior welterweight, including his last fight on June 7, 2003, against Gatti. During his 18-year professional career, Ward captured the (original) WBU title with an eighth-round TKO win over heavily favored, previously undefeated (22-0) Shea Neary in London, and also participated in three consensus "Fights of the Year". Displaying a lethal left hook to the body, Ward's other more notable victims included Gatti, Steve Quinonez, Reggie Green, Emanuel Augustus and Alfonso Sanchez, in addition to popular New England fighters such as Louis Veader (twice) and John Rafuse. Ward had a 3-1 (2 KOs) lifetime record fighting at Foxwoods. 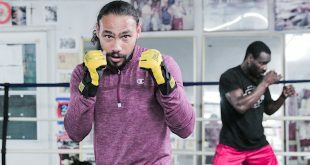 Boxers expected to join Ward's celebration include former WBA/WBC welterweight champion Marlon "Magic Man" Starling (45-6-1, 27 KOs), of Hartford; reigning WBO junior middleweight titleholder Demetrius "Boo Boo" Andrade (21-0, 14 KOs), of Providence; 1955 World welterweight champion Tony "The Pride of Fleet Street" DeMarco (58-12-1, 33 KOs), of Boston; former WBO middleweight champion Peter "Kid Chocolate" Quillin (31-0, 22 KOs), of Brooklyn; former WBA junior welterweight and welterweight champion Jose Antonio "El Gallo" Rivera (41-6-1, 24 KOs), former IBO middleweight champion and star of The Contender, Season I reality television show, Peter Manfredo Jr. (40-7, 21 KOs), of Providence; former world lightweight title challenger Tony Petronelli (42-4-1, 22 KOs), of Brockton (MA); "Connecticut Fighter of the Year" Luis "KO King" Rosa Jr. (17-0, 7 KOs), of New Haven, who is coming off a sensational win over Luis Del Valle in May; and Framingham (MA) welterweight and 2008 U.S. Olympic Team alternate, Danny "Bhoy" O'Connor (23-2, 7 KOs). All ticketholders may enter a special "Micky Ward Birthday Contest" by registering between 6:30-7:30 p.m. at a table set up near the Fox Theater box office. 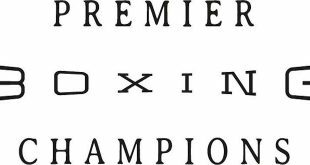 Prior to each of the three televised bouts, the ring announcer will select a winner and that lucky fan plus a guest will sit ringside with Micky Ward for the entire fight and be able to take photos with him and get his autograph. 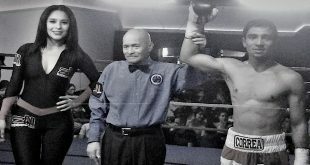 Undefeated Rances "Kid Blast" Barthelemy (20-0-0, 12 KOs), of Las Vegas, by way of Cuba, will defend his IBF junior lightweight title against former world title challenger and IBF No. 3-ranked challenger Fernando David "El Vasco" Saucedo (52-5-3, 8 KOs), of Florencio Varela, Argentina, in the Oct. 4 main event. In other 10-round fights on the threer-fight telecast: Willie "The Great" Nelson (23-1-1, 13 KOs), of Cleveland, Ohio, will be opposing Vanes "The Nightmare" Martirosyan (34-1-1, 21 KOs), of Glendale, Calif., by way of Armenia, in a collision of once-beaten junior middleweights, former light heavyweight world champion "Bad" Chad Dawson (32-3, 18 KOs), of Las Vegas, by way of New Haven, Conn., fights for the first time in his home state in five years when he goes up against Tommy Karpency (23-4-1, 14 KOs), of Adah, Penn. Tickets, priced at $150, $90 and $45, may be purchased online at Foxwoods.com, by calling the Foxwoods' box office at 800-200-2882, or in person at the Foxwoods' box office. Tickets may also be purchased through any Ticketmaster outlet or online at Ticketmaster.com. Doors open at 6 p.m. and the first fight starts at 6:30 p.m. 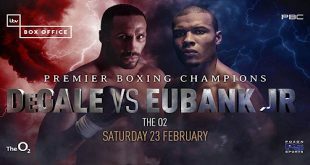 The event is promoted by DiBella Entertainment and Warriors Boxing, with the main event promoted in association with Sampson Boxing and the co-featured Nelson-Martirosyan match promoted in association with Rumble Time Promotions and Goossen Tutor Promotions.